Love these guys. 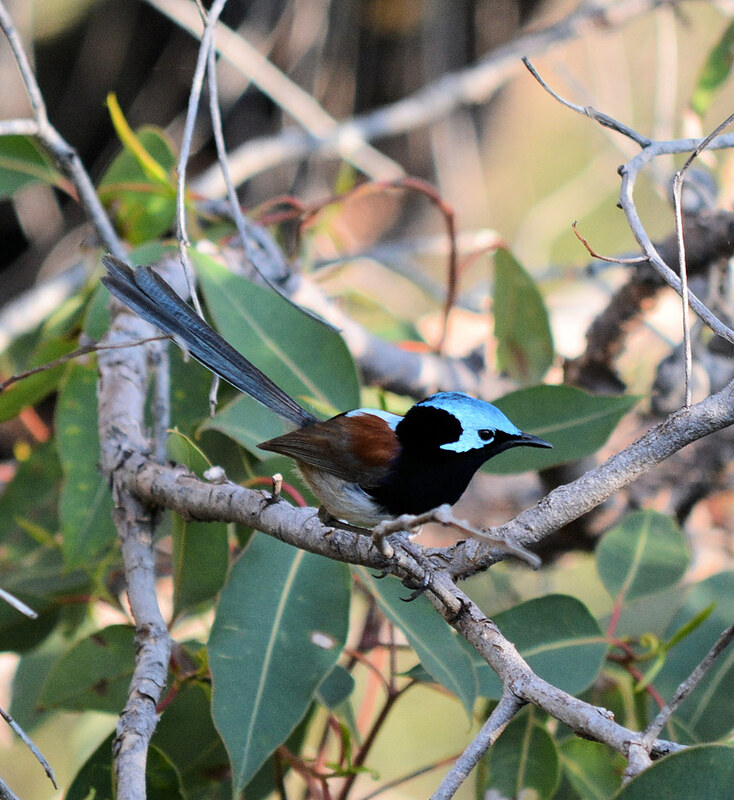 The Red-winged Fairy-Wrens look very similar to our Variegated Fairy-Wrens. I haven't managed to photograph these yet. 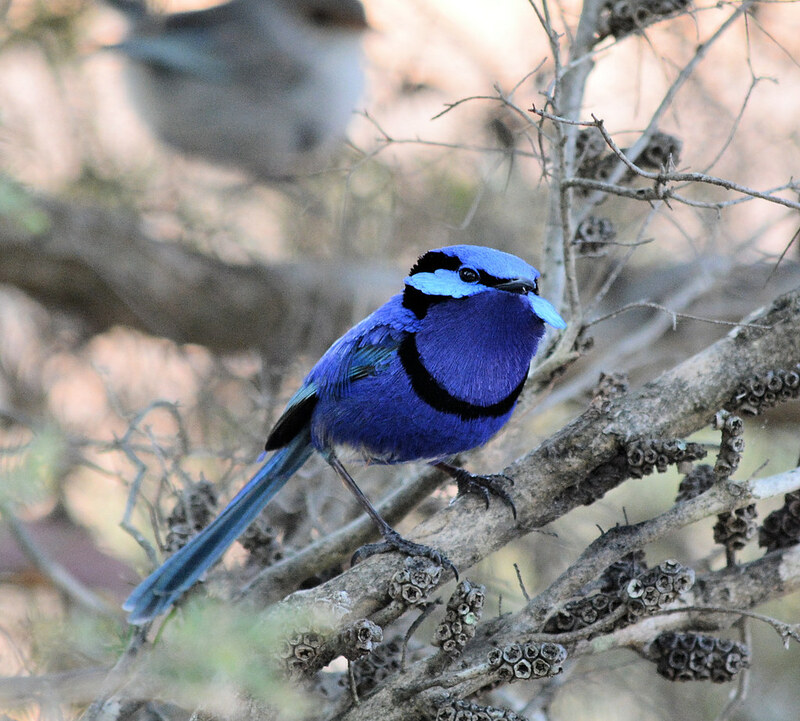 Thanks Dev , we also have the Variegated plus the Blue Brested Fairy Wrens in this state and they all look very similar. Wonderful photos .... thanks for posting. The splendids are stunning. 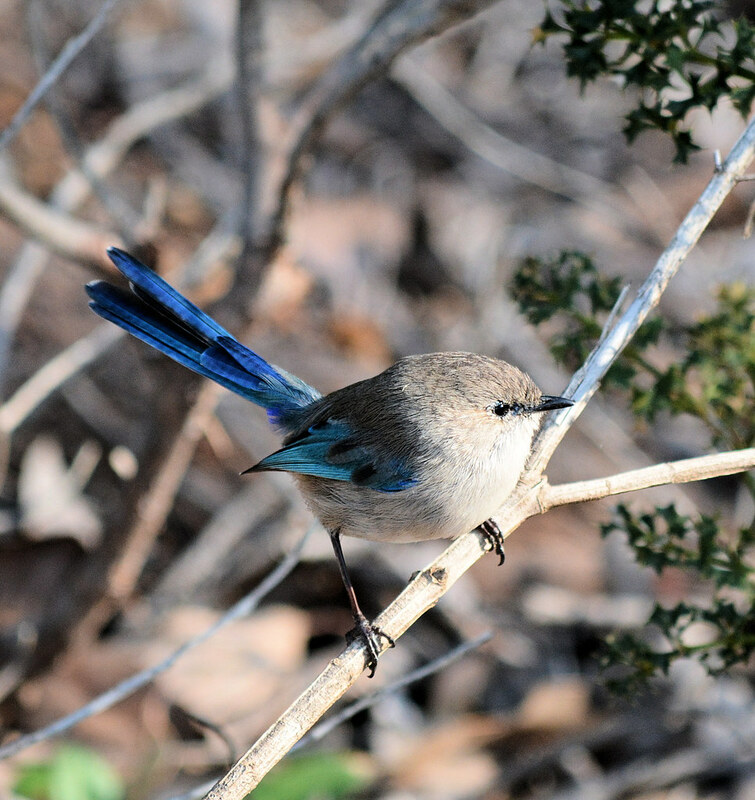 Hi Laza, they are definitely Red winged fair wrens, Varigated wrens have a dark blue pockect at the top of their shoulder. Did you see any Red ears while up at Wellington dam? Come across them below the dam in summer while marroning. The Splendids look good coming into their nuptial plumage. No still keeping my eyes out for red ears after your bit of info last time but still no joy. Had to look up what a Western Whistler was. Hadn't heard that our Golden Whistlers had been reclassified as a new species. We get them in the Tuarts behind us in Stratham. Can't say I've seen them in a while, will keep an eye out for them. Red Winged Fairy Wrens generally like wet dense gullys, creeks etc. as do the Red Eared Firetails. 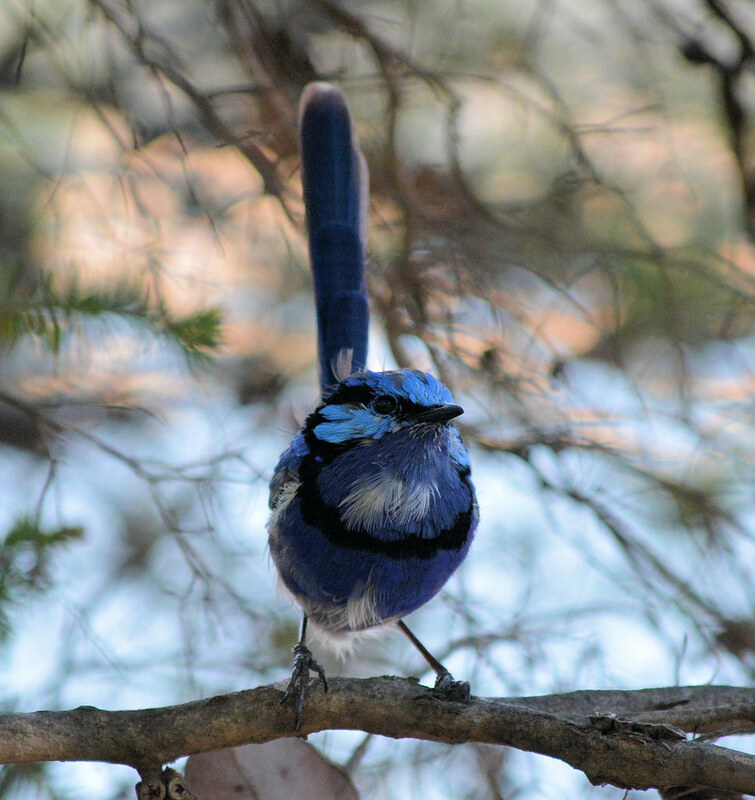 Beautiful photographs of splendid birds. 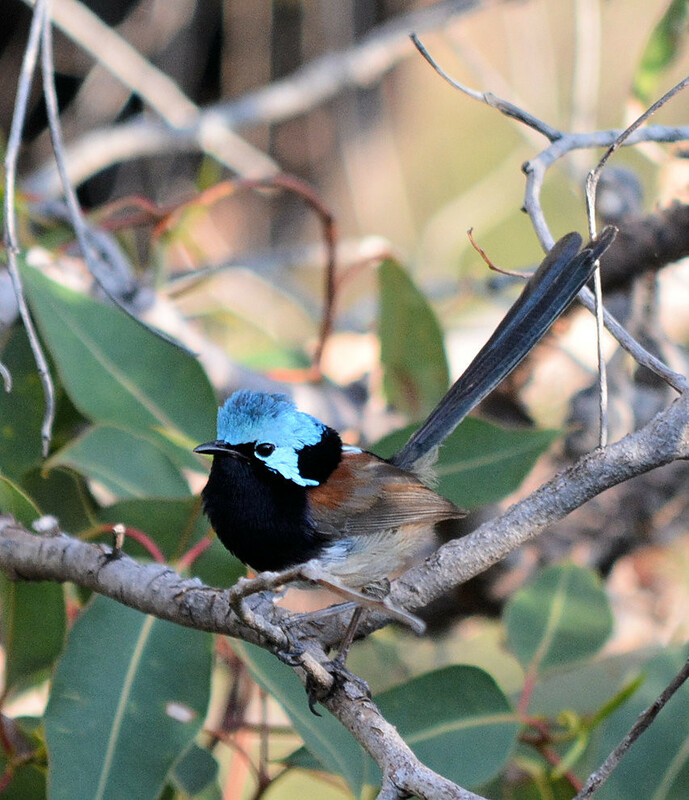 Variegated Fairy-Wren in power dive attached.